I can't wait! This is for sure a day one purchase for me. Some new images, click on the pic below to see them. 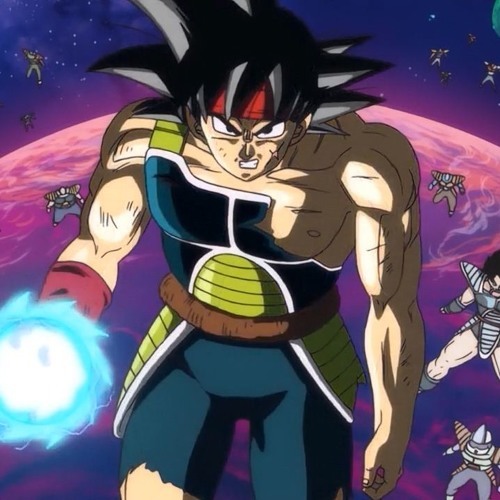 For head swapping, chances are that the joint is the exact same as God Goku, Black, etc. Just look at the head. 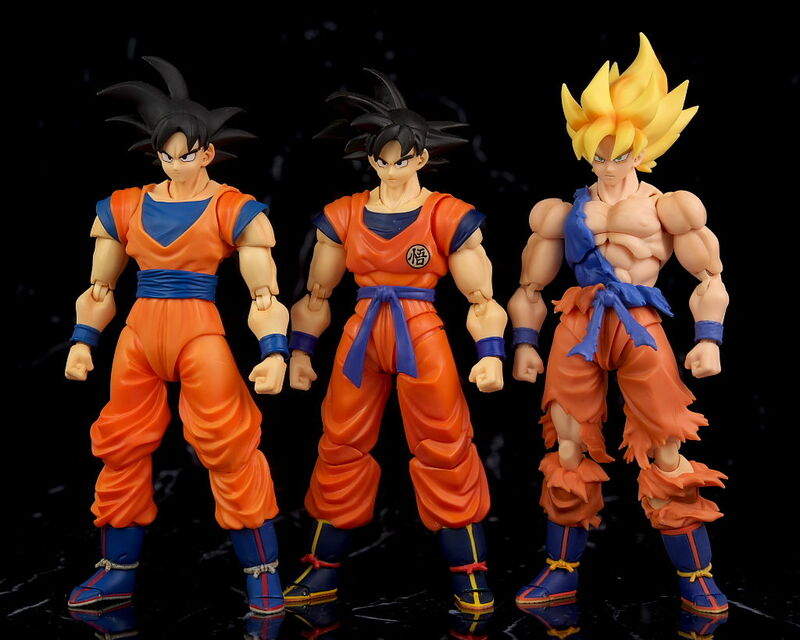 Clearly the same base mold as God Goku and the others. yes. The only problems would be the placement of the 2018 neck peg inside the Awakening SS head (there's a slight chance it might sit a little too high on the neck, but I'm not saying that with confidence, it's just an assumption and it may not actually be a problem) and the skin tone. The awakening SS Goku has an odd salmon pink skin tone while the 2018 Goku has a perfect/superb/accurate/ideal/amazing pale orange skin tone. 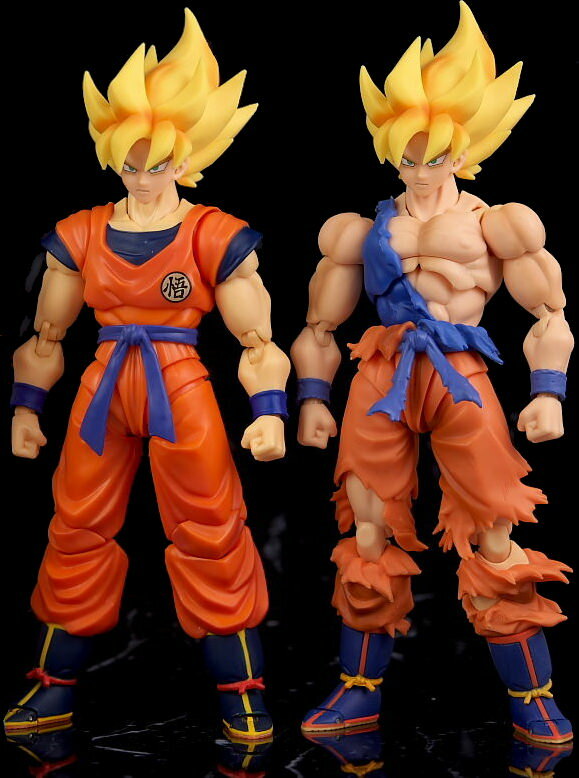 The SS Goku faces will look a bit odd when coupled with the 2018 Goku. 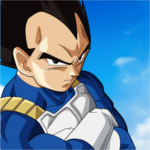 I think the only decent head swaps available for the time being would be the SSG and SS Blue heads, with the SSG head being the closest match. went ahead and made a quick edit. It doesn't show how the head looks on top of the neck peg but you can see the skin tone difference. I don't know if this is an unmarked prototype or not, but he looks REALLY glossy here. a little disappointed that some of the heads are a bit loose but it should be an easy fix i think. I'm getting him on EKnight. 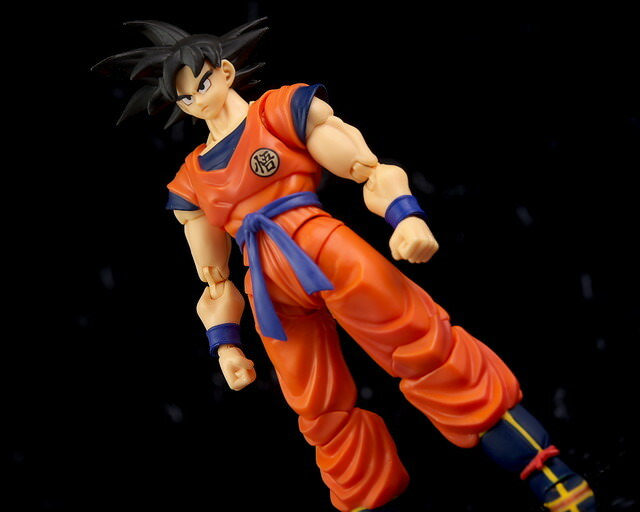 Probably gonna buy the Awakening Goku Bootleg to head swap. I like how his stomach doesn't match the orange color on the chest. I just can't get over the fact that this figure has arms that are permanently stuck at a 10 degree angle. The butterfly sockets pull the arms too deep into the chest and the shoulder joints have larger hinge buffers than the 1.0 shoulder joints. Both of these problems limit the arm movement. Kind of amazed no one ever talks about it, some other 2.0 figures have the same problem. First thing that comes to mind after seeing this pic, the old school 2001 Irwin Goku.